The Senate Tuesday asked its Appropriation Committee to allocate N10 million in the 2016 budget for the relocation and resettlement of Internally Displaced Persons (IDPs) in Borno, Adamawa and Yobe States. Apart from the fund, the Senate also asked the Federal Government to release grains from the strategic grain reserve to the insurgency affected states. It urged the National Emergency Management Agency (NEMA) and the refugee commission to make special arrangement for repatriation and resettlement of Nigerian refugees in Cameroun, Niger and Chad. The upper chamber asked its relevant committees to write a letter of appreciation to the embassies of the host countries where the refugees were accommodated. It said that the Victim Support Fund should also allocate reasonable amount from the fund for immediate relocation and resettlement of IDPs pending the short and medium term plans they might have. Taraba, Plateau, Benue and Federal Capital Territory (FCT) Abuja, it said, should also benefit from the arrangement. Ndume in his lead debate noted that there was no doubt that the Federal Government is winning the war against insurgency in the north east particularly Borno, Adamawa and Yobe States. He said that most of the local governments, towns and villages hitherto occupied by the insurgents have been recaptured and secured by the Nigerian security forces particularly the army. Ndume added that he is aware that the highways leading to the local governments from the state headquarters of Borno, Adamawa and Yobe States have been demined and opened for commuters. He noted that the IDPs who ran away from their homes during the heat of insurgency lost everything to Boko Haram insurgents. He said that most of the IDPs are relatively poor with no savings, source of income or gainful employment. The Borno South lawmaker expressed concern that for two years consecutively, the people in the affected states have not been able to farm while many people especially children are dying due to hunger and sanitation related diseases. He also expressed worry that IDPs that are eager to return home or are being relocated have nothing to take home and have nothing meet at home from what they left behind when they ran away. 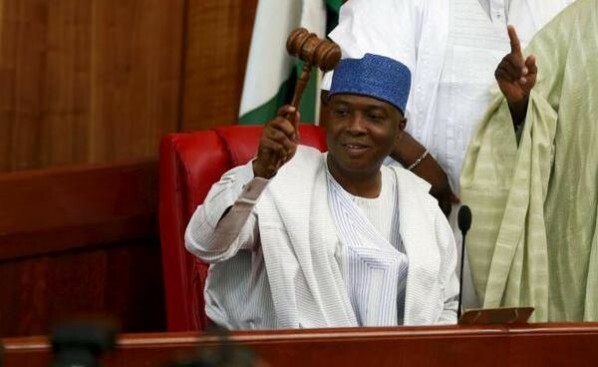 Senate President, Abubakar Bukola Saraki, said that the Senate should commend the efforts of the security agencies “because without their efforts the idea of the IDPs going home will be impossible.